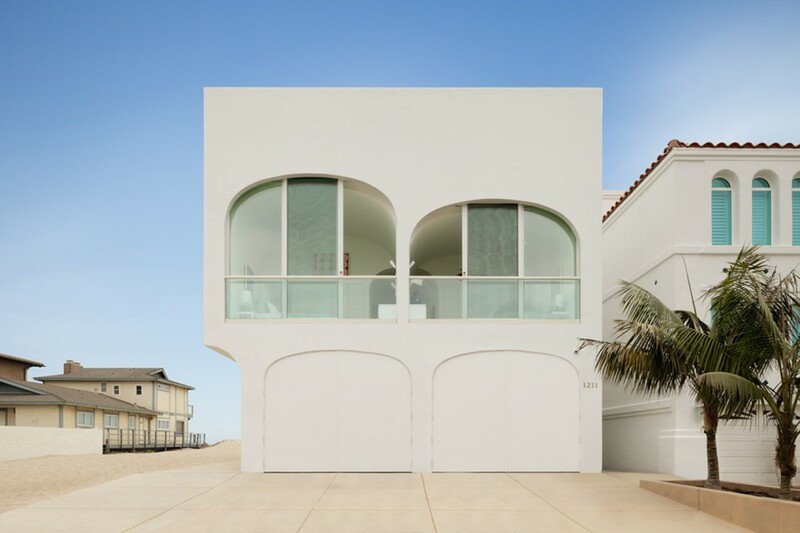 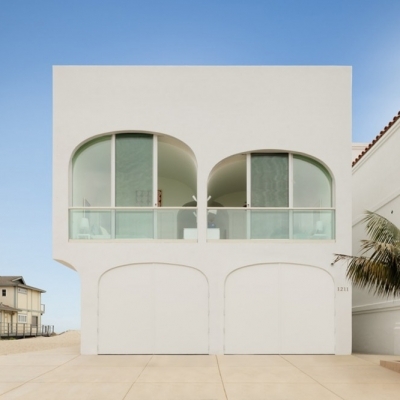 Situated in a densely developed beach site in Southern California, the Vault House challenges the typology commonly found on narrow oceanfront lots. 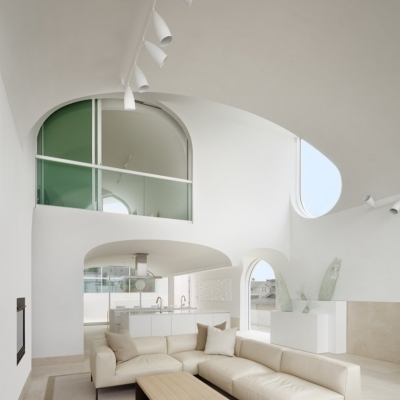 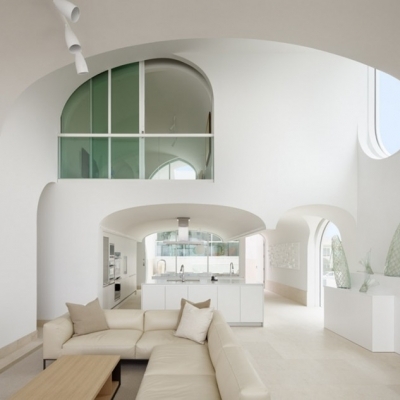 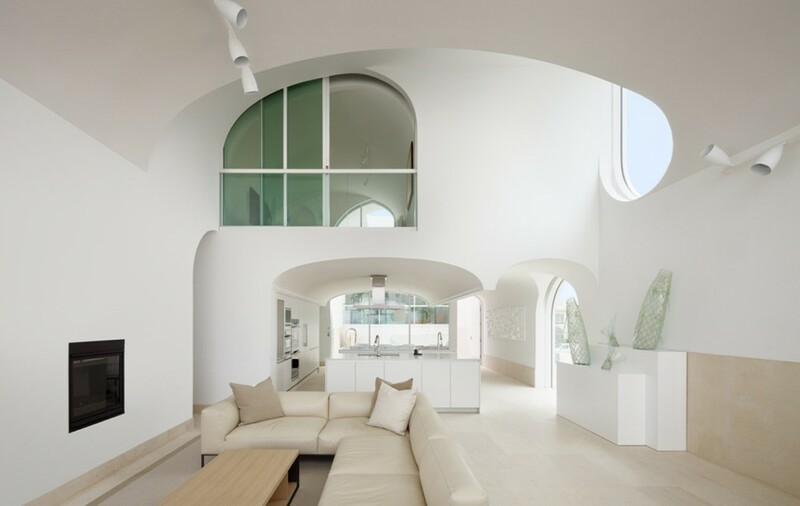 Instead of directing its focus on the single prime ocean view, an array of transparent interior spaces layered inside the main volume, offer a multiplicity of oblique views through the house while capturing natural light from a variety of angles. 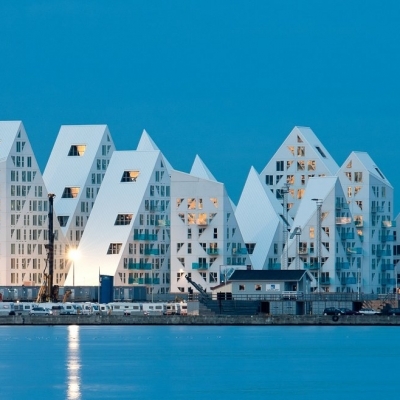 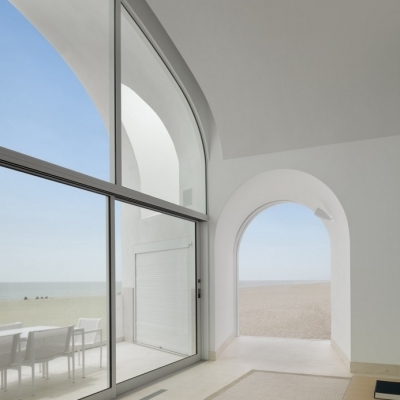 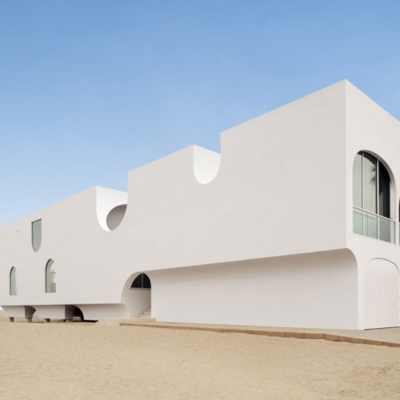 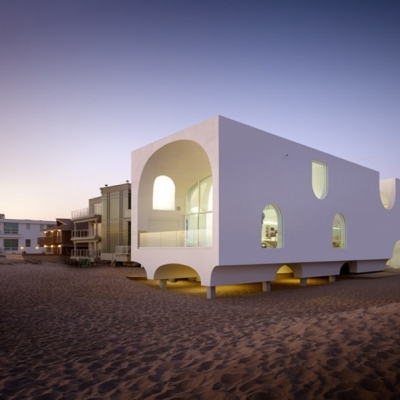 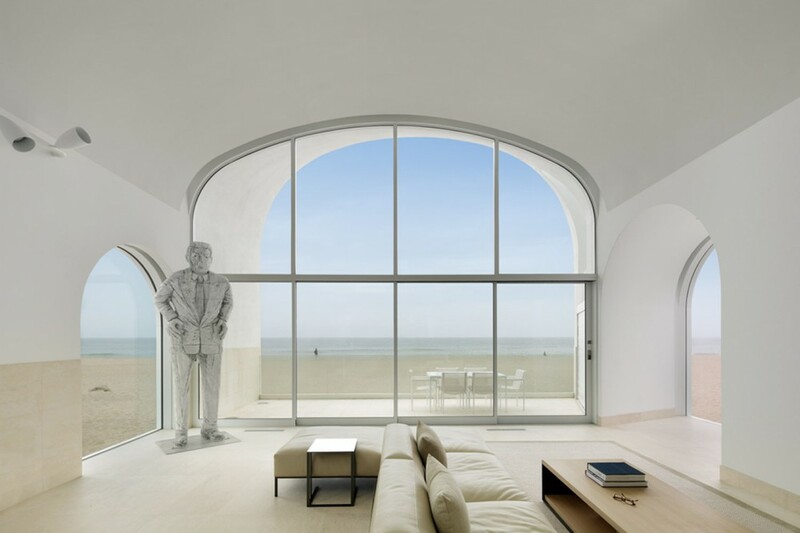 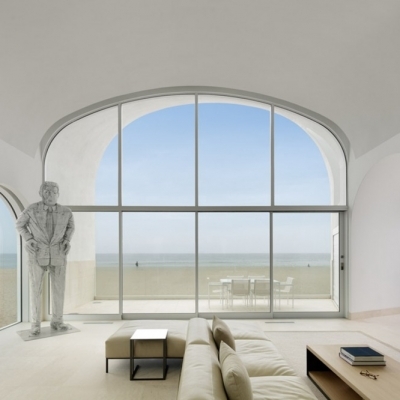 With the assembly of stacked and unidirectional vaulted rooms contained within a simple rectilinear volume, the parallel orientation of the rooms acts as a filter that extends the oceanfront view from the beachfront façade to the West through to the street at the Eastern boundary of the site. 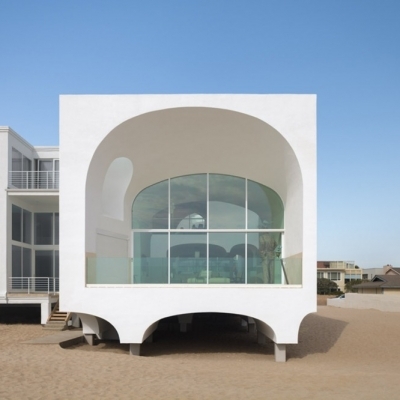 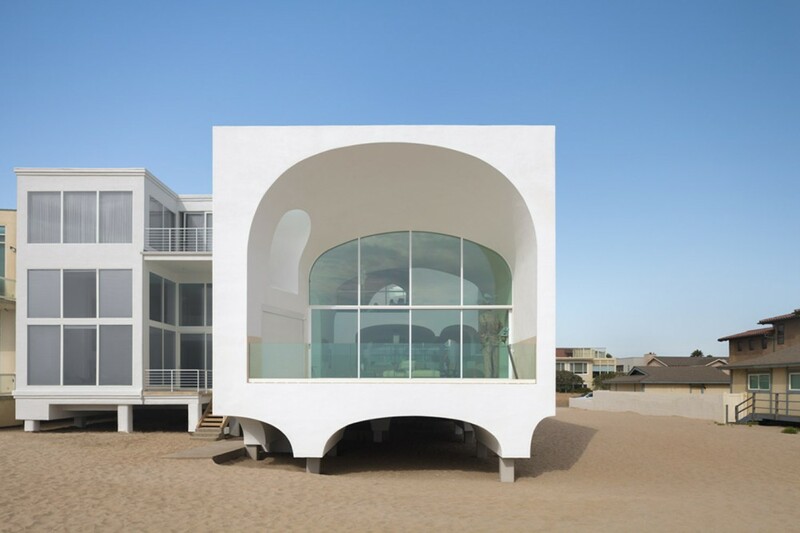 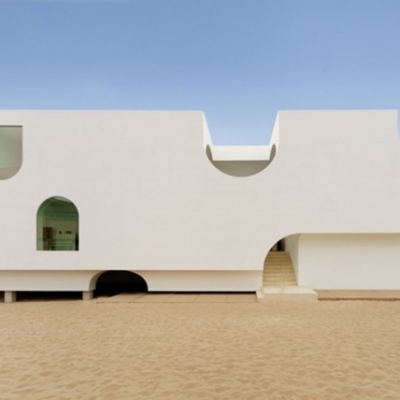 The house was designed under the restrictions imposed by the California Coastal Commission, which require the main living area to be lifted two meters off the sand, allowing for possible tsunami waves to pass beneath the house. 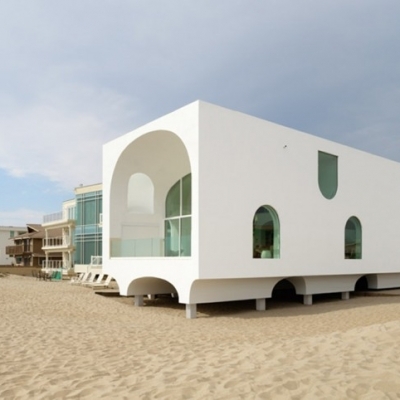 The garage to the East along the street, in contrast, sits directly on the sand and is designed with walls that collapse under the pressure of tsunami waves. 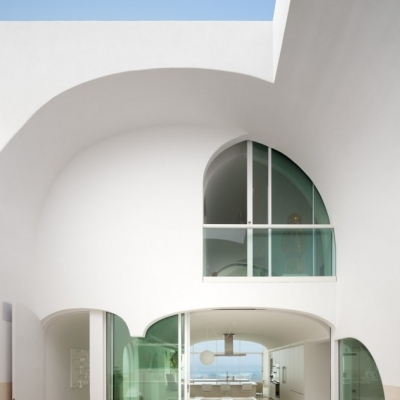 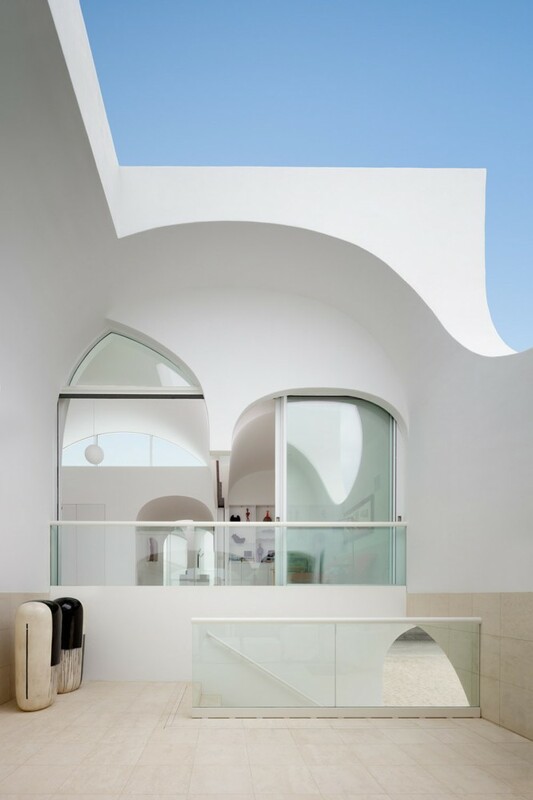 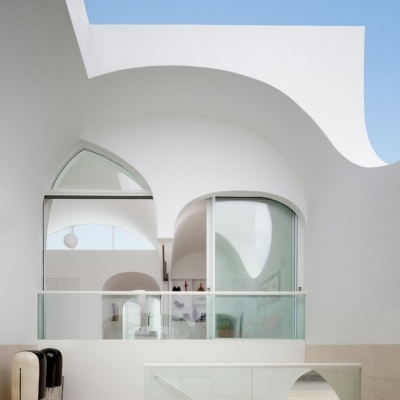 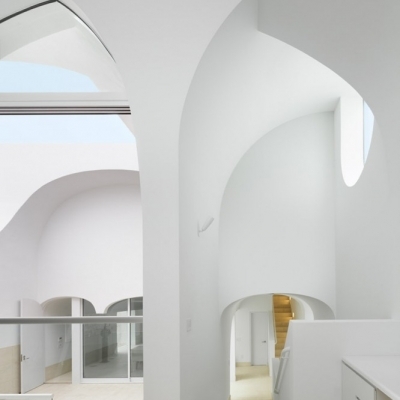 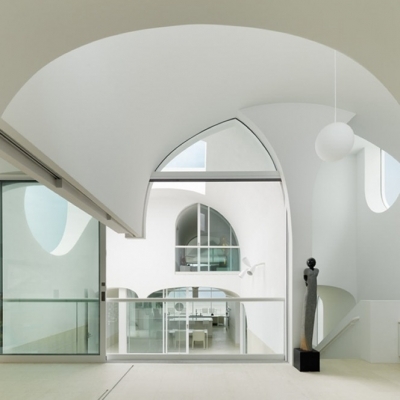 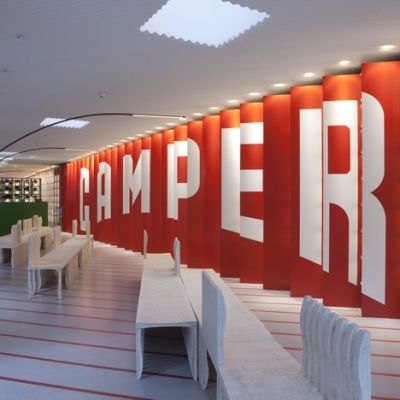 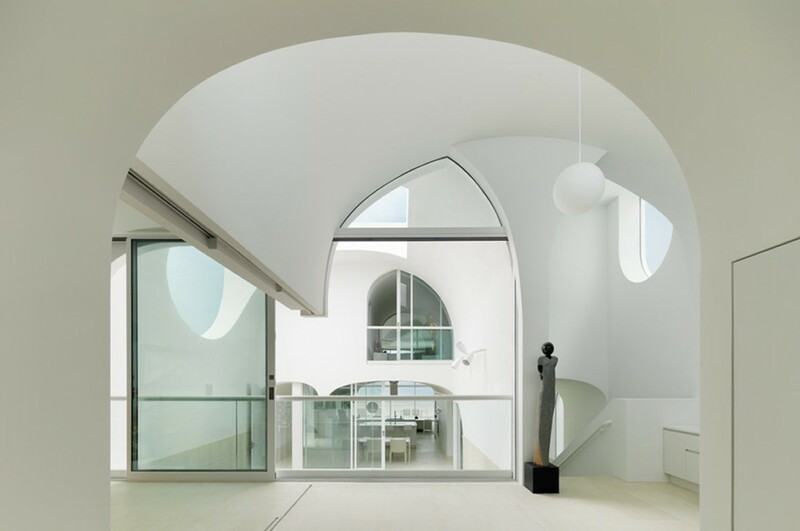 This results in an asymmetrical section, where three floor levels – first floor, split level, second floor – are grouped around a courtyard that serves both as the main entrance to the house and as a central outdoor room.